Insurance claims for hail and storm damage repair can be complicated, so skip the hassle of doing it yourself, and let us put our years of experience to work. We will handle every aspect of the process to help you get the most of your policy and the roof leak repairs you need. We even have a licensed insurance adjuster on our team here, so leave it to us! After a hail storm, call us, we’ll make the necessary repairs and fill out the forms for your insurance companies to get you the compensation you are entitled to. If you feel you are qualified for hail damage insurance claims from storm damage to your roof, contact us. A lot of times hail damages roofs by dislodging the protective mineral granules of the asphalt shingles. 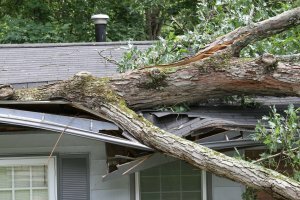 Aside from looking unsightly and possibly lowering the value of your home, this damage can also lead to interior damage if not repaired, or even add up the need for a roof replacement over time. Don’t take any chances, call us. The sooner you call us after the damage occurs, the better documentation we’ll be able to provide. Your insurance company will want proof that your home has been damaged, and to do that, you’ll need the knowledge, expertise and experience we can offer as professional roofing contractors. Our roofers will do a thorough inspection and verify that there has been damage on your roof. We have our very own licensed insurance adjuster on staff, which handles one of the biggest challenges in getting the claim approved. We can do any needed repairs to your roof, and fill out the necessary paperwork for your insurance company, including working with them on any disputed claims. We try to handle as much of this on our own as possible, but we may need to be in touch with you and work with you to meet all the needs of the insurance company. The mortgage companies can be incredibly tedious to work with and in recent years, due to the failing housing market, your involvement may be required. Our staff will facilitate the process with diligence and tenacity but one of our roofers may need a follow up call or two from you. It’s crucial for us to work together so you receive your funding in a timely manner. One of the most common reasons homeowners submit insurance claims is for storm damage repair. From wind to ice dams, our community is prone to some serious weather hazards. Many of the things that can happen to your residential roofing is covered by a homeowner’s insurance policy. Asphalt shingle roofs and other lightweight materials can be torn off of your rooftop during high winds. As roofers with over four decades of experience, we’ve also seen branches and other debris tossed against surfaces, causing breakages and punctures. When this happens, we are the team to call to get it handled. Ice dams can tear off gutters and create the perfect environment for a leaky roof. They are caused by low insulation values and improper roof ventilation. On your insurance claims, we document your need for roof and gutter repair or replacement, as well as the need for fixing the insulation and ventilation to prevent the situation from happening again. Our roofers offer help with insurance claims in Bentonville, Springdale, Fayetteville and nearby cities.